I have a bit of a contrarian streak when it comes to picking project colors. 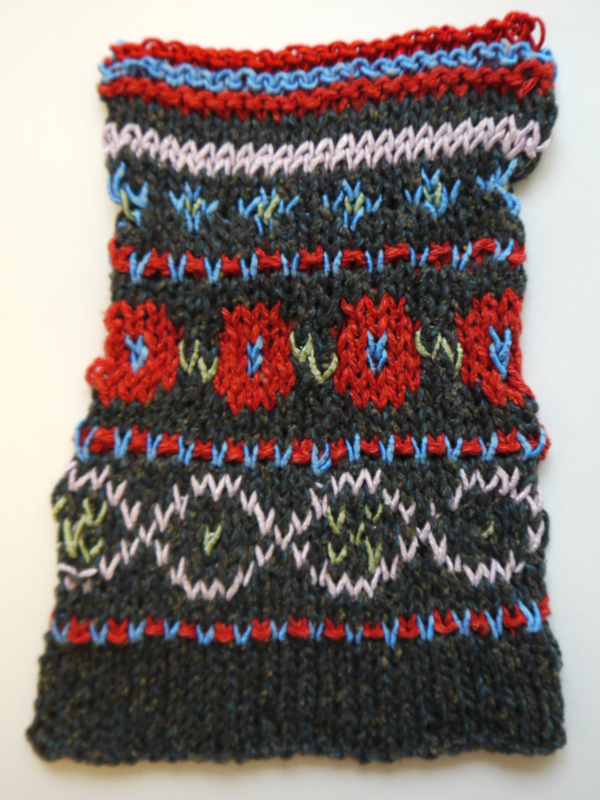 I almost never knit a pattern in the sample color – even if I love it. I totally love the Agave sample. With all those beautiful jewel tones and intriguing geometric shapes, it looks fit for a tribal queen…or at least a fashionable knitter! But for reasons unknown, even to me, I’ve been determined to come up with an alternative color scheme. It’s been a tough few weeks of swatching. 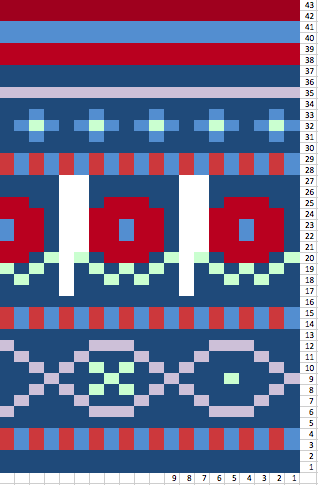 When I was too tired to knit, I started playing around in Excel (a much quicker way to make shapes and change colors). I was thinking red, brown and pink, but there isn’t a pink Captiva. Peach didn’t work quite as well. This was definitely closer to what I was looking for, but still not quite me. I was conflicted, because it’s a large departure from Agave, but it really just makes me happy. I showed it to the rest of the design team and they encouraged me to stick with it. So I checked my math and realized I had to change the flower section slightly. So I think I’ll be knitting this chart in the blue swatch colors, but I’m not sure what Fuji color to use for the base…any suggestions? Ooh! No suggestions but I love the purple flowers on the brown! 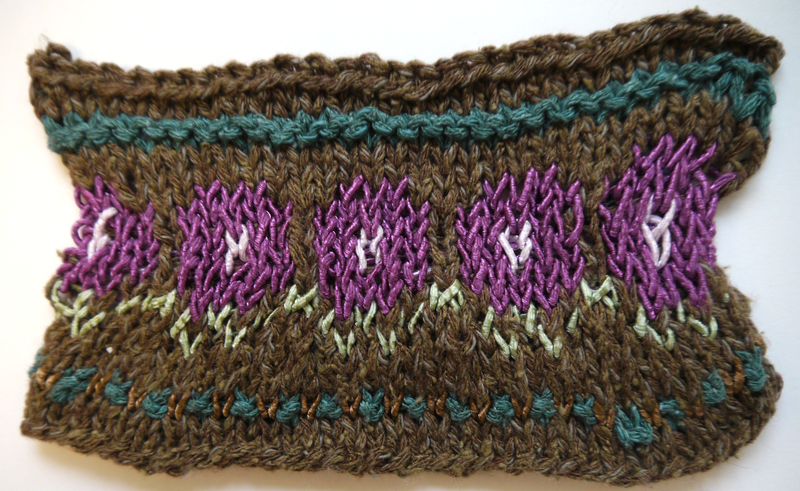 I agree with Laura – I really like the color combo on the flower section re-swatch!